Motorola recently launched Moto E. It has a 4.3-inch (960 x 540 pixels) qHD display with Corning Gorilla glass protection. Moto E is powered by a 1.2 GHz dual core Qualcomm Snapdragon 200 processor and runs on the latest Android 4.4.2 KitKat which in future can be updated to latest android version . At the back it has a 5- megapixel rear camera. But does it worth your money? 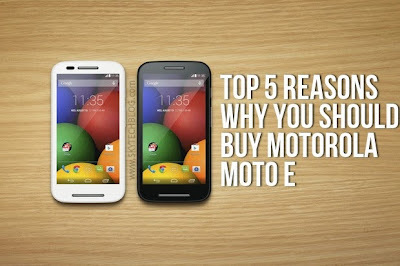 We give you Top 5 reasons why you should go for the Moto E instead of any other smartphones in that price range. Just like Moto G, Motorola promised that even Moto E will get future updates. Phone is currently running on android 4.4 KitKat and will get future android updates as well. The phone runs nearly stock android resulting in beautiful user experience. Motorola Moto E runs on Android 4.4 KitKat with almost zero customizations. Making it very fast and fluid in terms of performance. It doesn’t come with any 3rd party apps and softwares which are mostly useless in other devices. Motorola has launched several accessories for the Moto E and one of them is the Shells. 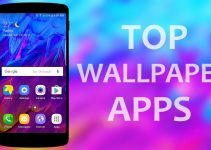 Shells are the colourful back panels which you can purchase separately and give your device a new look and more make it more matching with your dress. Moto E is powered by a 1.2 GHz dual core Qualcomm Snapdragon 200 processor and has Adreno 302 GPU. Moto E can handle most the graphic intensive games like Asphalt 8 in which many other phones in this price category lags a lot. While other phones comes with 512MB of RAM Moto E has 1GB of RAM that’s more than sufficient for your daily usage. And has 1980mAh battery which can last all day long. With the Moto E Motorola aims to replace your old feature phones with smartphone. It is priced for all and made to last. At a price of just Rs. 6,999 you cannot expect more from a device like this. Motorola even promises good after sales services. The Motorola Moto E is now available for Rs. 6,999 2 Flipkart.com and can be ordered right now.